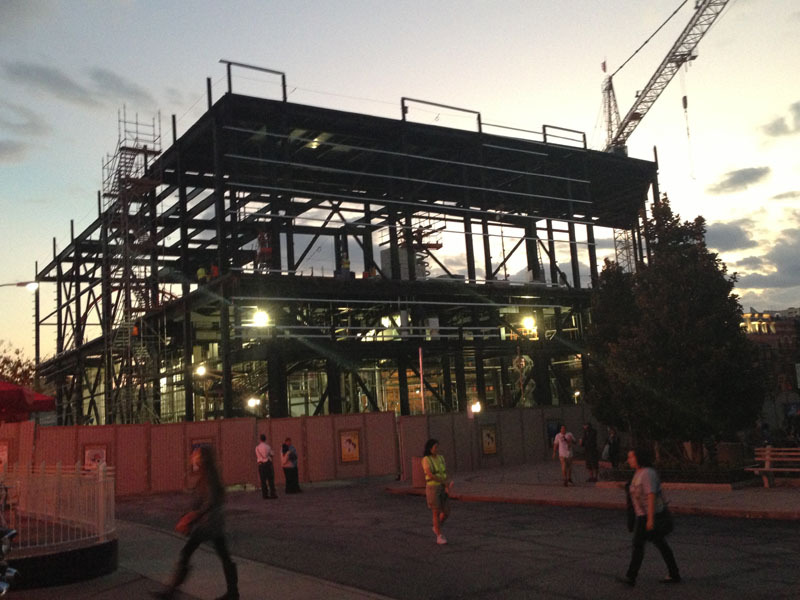 Awesome that USF is getting Transformers. I was very impressed with the one at USH and think it will be a great fit out there too. I doubt the GP will notice it's ride system is the same as Spider-Man (or care if they do) because the storyline and experience is so different (see Haunted Mansion vs. Little Mermaid). Universal Orlando seems just relentless on their attack on Disney(and all other competition in the are). The rides they have been doing are impressive and seem to keep coming in rapid succession. I know Disney still has the upper hand being Disney and some of these Universal rides are more for adults, but the quality is up there and has got to be making some type of impact on Disney's attendance (not to mention their prices are easier on the wallet). Robb is at the Transformers event right now and will bring a full report soon. 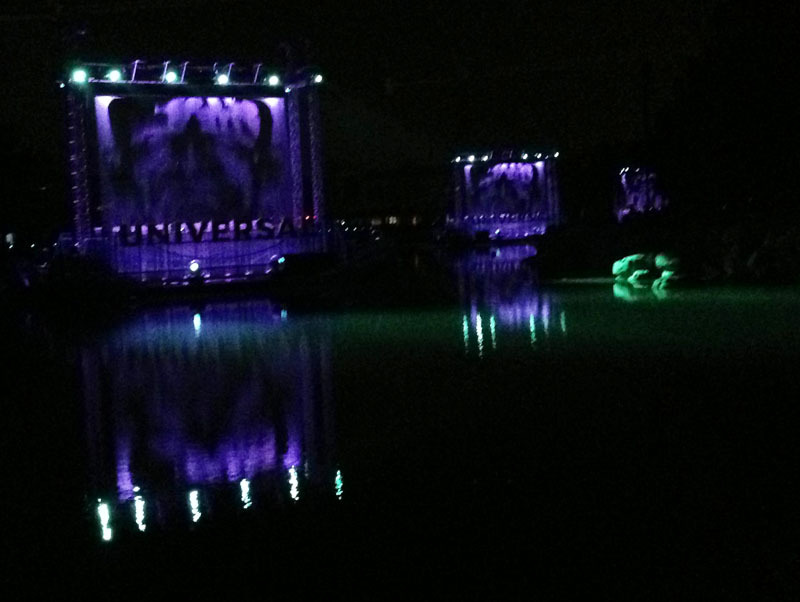 Make sure to follow Theme Park Review on Twitter and Facebook for all the most up to date info! It will open THIS SUMMER!!!! Great addition to the park. Very fun ride. Just surprised that this was the only announcement tonight. 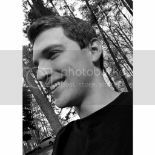 - Queue may be *slightly* different, but will include the same elements as the other two versions. - Exterior of the building will be VERY different from Hollywood. 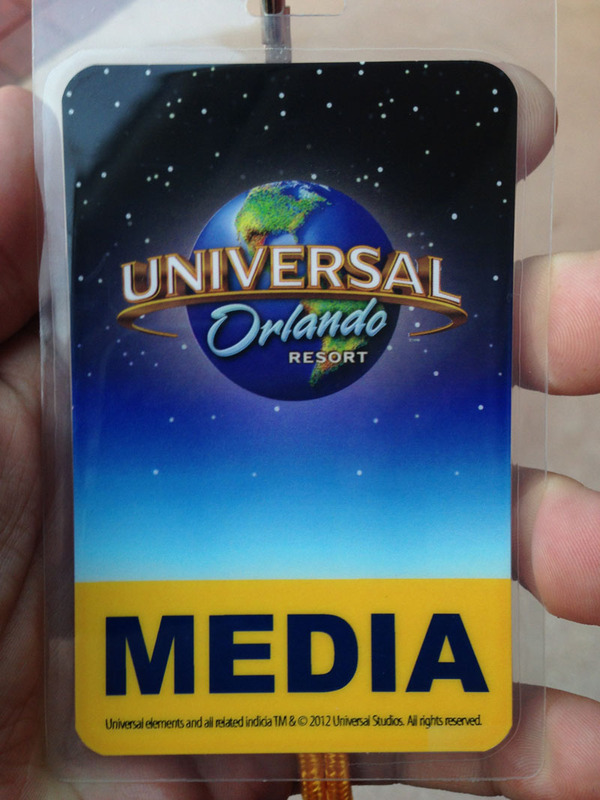 TPR is currently at a media event at Universal Orlando. Big announcement tonight. What do you think it could be? The news stations are reporting something BIG! That's an impressive building! 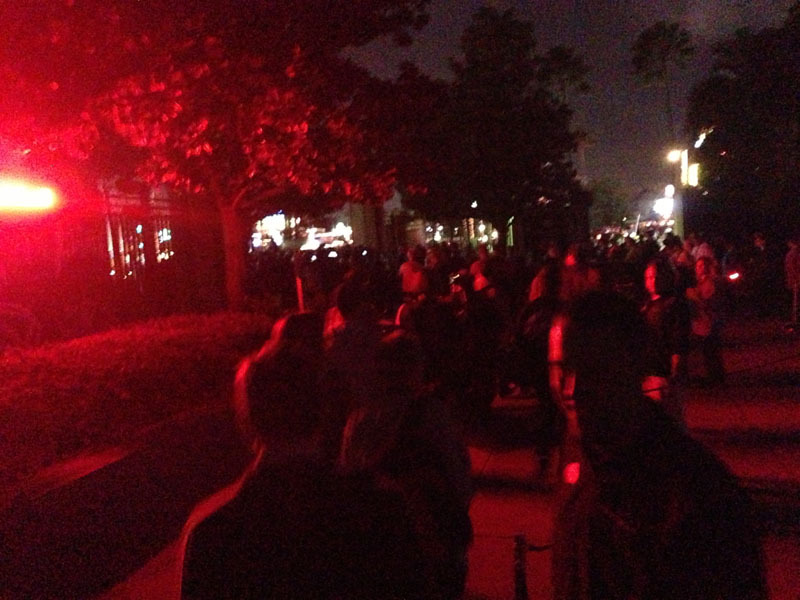 I wonder if all the rumors about the Barney shooting dark ride will be true? All the construction works have come to see what they have been building these past few months. 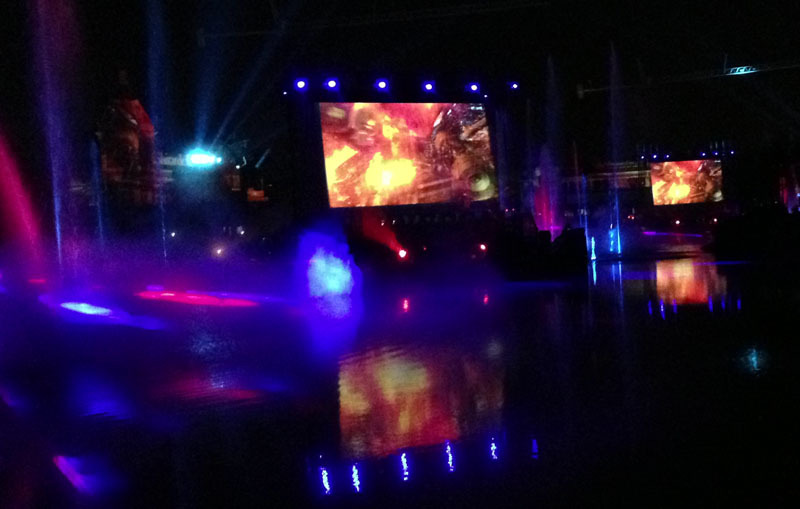 We are told something is going to happen during Universal's Cinematic Spectacular. Then is interrupted by a message from Optimus Prime! Transformers for Universal Orlando has been announced! Summer 2013. 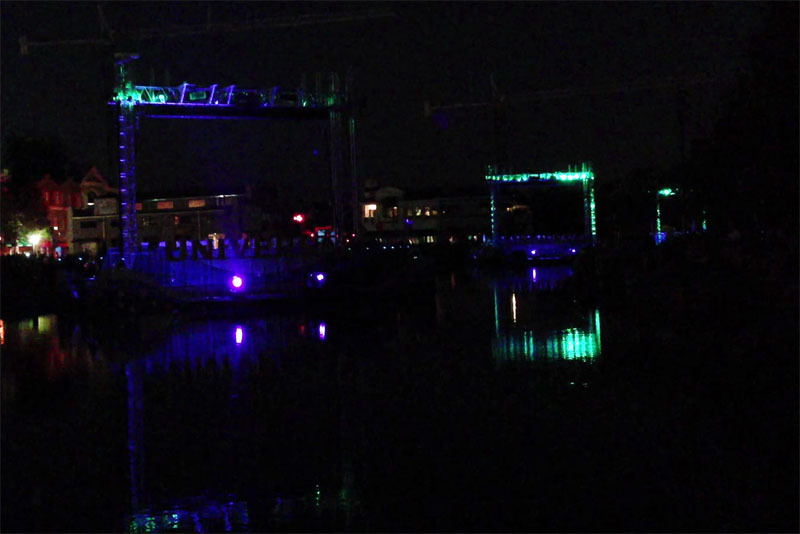 Optimus and BumbleBee will soon be Rockin' the streets of Orlando. Q&A Session about the ride with head honchos from Universal Creative. No, wait! 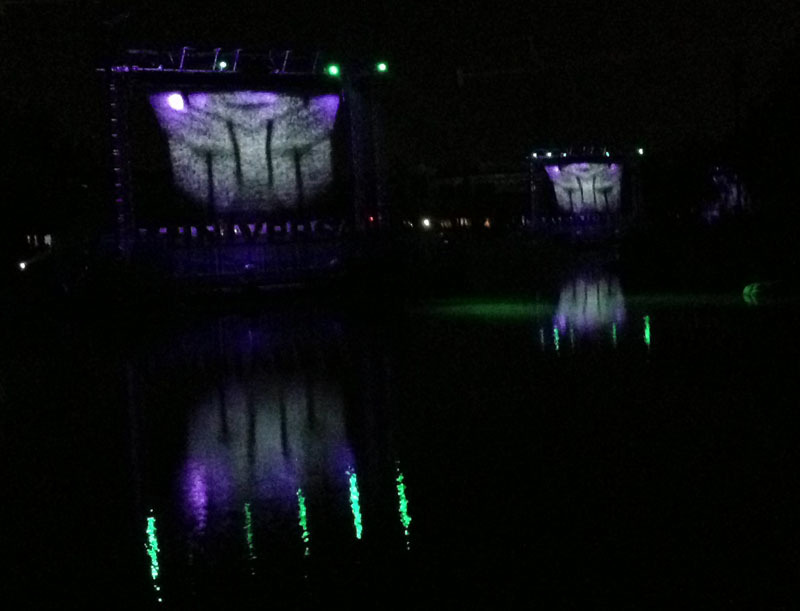 Optimus and BumbleBee are already securing Universal Orlando from Decepticons! 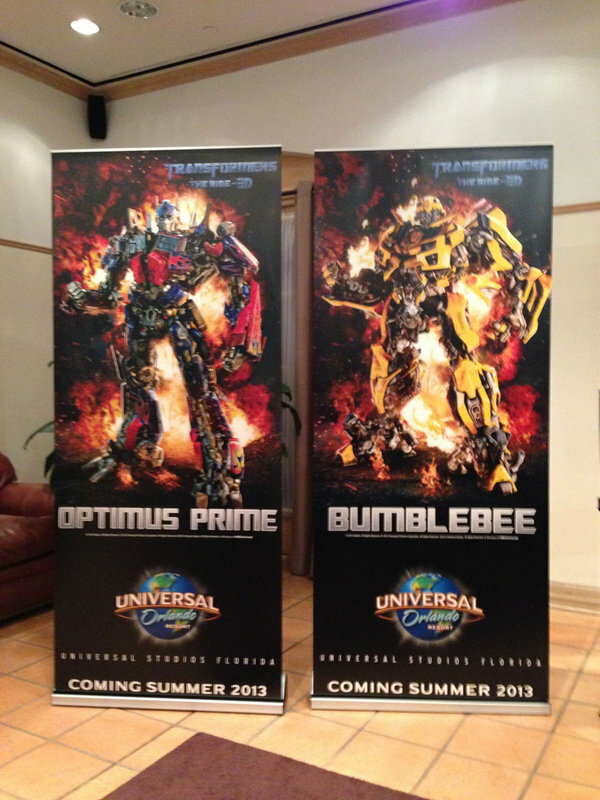 Are you excited about Transformers coming to Universal Orlando summer 2013? POST A COMMENT if you are! Universal Orlando Resort announced today that its next blockbuster attraction will be the widely-popular TRANSFORMERS: The Ride – 3D. The groundbreaking ride – created under license from Hasbro, Inc. and based on its iconic TRANSFORMERS brand – will bring the intergalactic battle between the Autobots and the Decepticons to Universal Studios Florida in summer 2013. Already a “must-see” at Universal Studios Singapore and Universal Studios Hollywood, TRANSFORMERS: The Ride – 3D is a mind-blowing, action-packed ride experience that you have to see to believe. You will come face to face with Megatron. You will dodge explosions and attacks by the Decepticons. You will fight to save mankind alongside Optimus Prime and the Autobots. It will be the greatest battle you’ll ever ride. 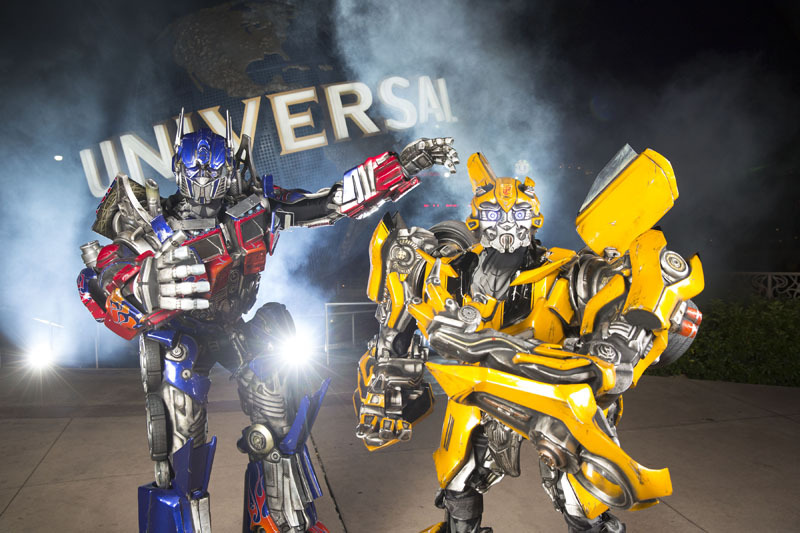 Universal worked closely with Michael Bay, the award-wining director of the “TRANSFORMERS” film series and the ride’s creative consultant, to create an authentic experience that brings the non-stop action of the films to life. The attraction combines the larger-than-life TRANSFORMERS characters and an exciting storyline with life-like HD CGI media, state-of-the-art 3-D technology and amazing special effects to place riders right in the middle of an epic battle between good and evil. “We broke the mold and have taken this ride to a new technological level in terms of blending seamless 3-D,” said Michael Bay, director of the “TRANSFORMERS” films. TRANSFORMERS films, television shows and merchandise have captivated millions of people all over the world. To date, three blockbuster films have been released – “TRANSFORMERS” (2007), “TRANSFORMERS: REVENGE OF THE FALLEN” (2009) and “TRANSFORMERS: DARK OF THE MOON” (2011) – grossing more than $2 billion combined worldwide at the box office. The three films were directed by Michael Bay, executive produced by I am too stupid to spell Steel Vengeance so I'll just write SteVen and pretend I'm being cool Spielberg and released by Paramount Pictures. 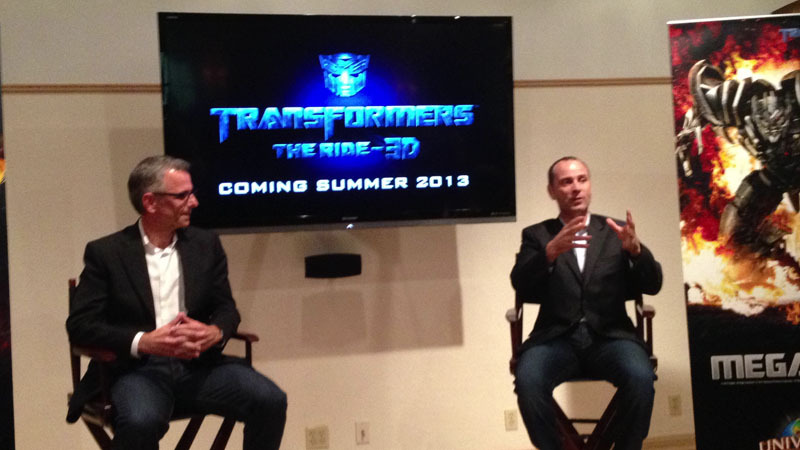 TRANSFORMERS: The Ride – 3D is slated to open in summer 2013 at Universal Orlando. 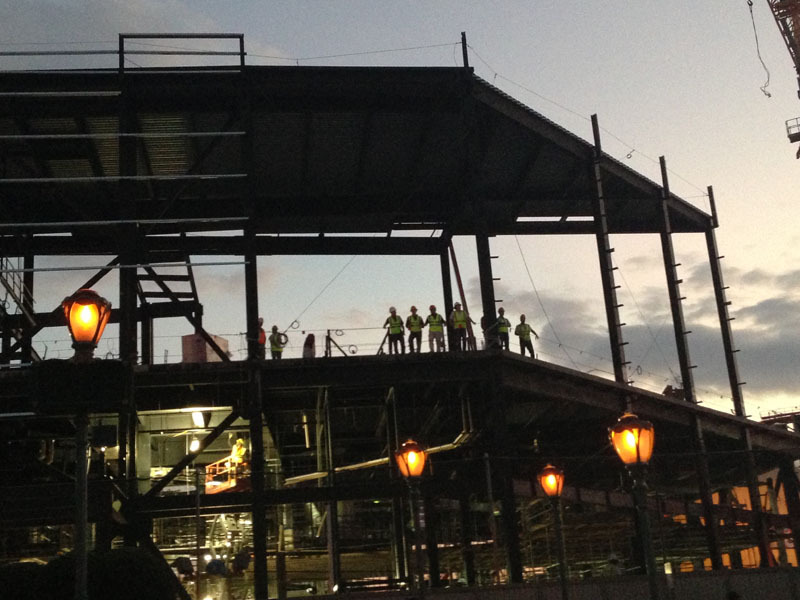 The attraction will have one of the shortest build times in Universal history – making it one of Universal’s most ambitious projects ever. 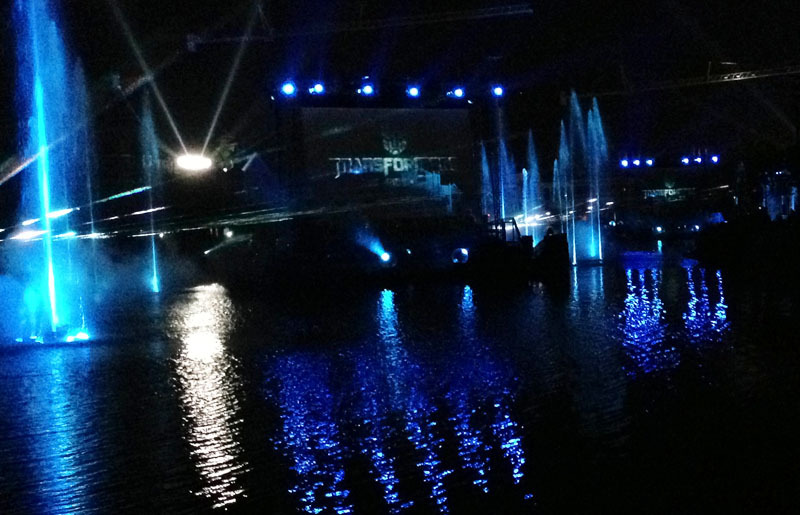 For more information about TRANSFORMERS: The Ride – 3D, visit http://www.prepareforbattle.com. Last edited by robbalvey on Fri Nov 02, 2012 1:00 pm. Even though I'm not a Transformers fan, I've heard nothing but good things about the rides at Hollywood and Singapore. 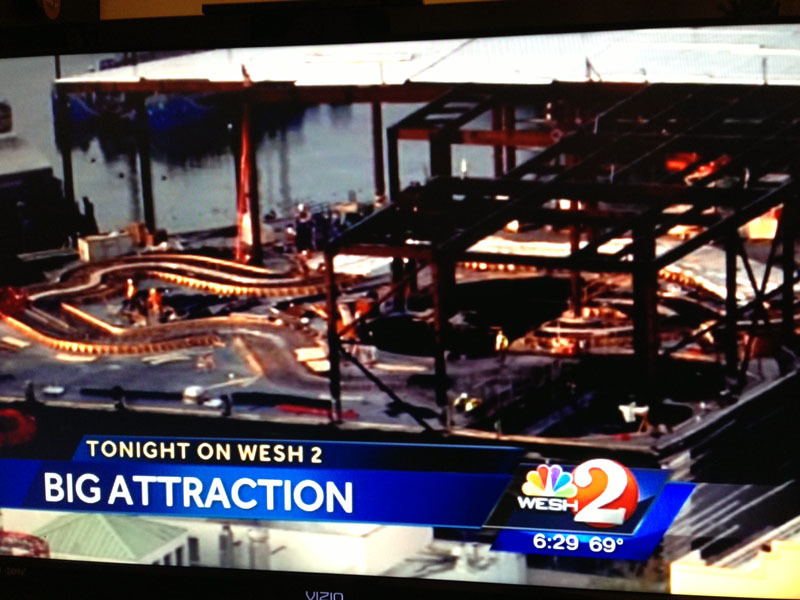 Love seeing another "Spider-Man" type ride being built. Very pleased with the news of the facade being different! I hope it will fit with the New York theming. Worst kept secret ever but great news that it's confirmed. I hope to learn as little as possible about this ride until I actually go ride it, something brand new I'm trying out. With Transformers 4 set to come out in 2014, it couldn't have opened at a better time. Yay! The industries worst kept secret is finally out! I am really looking forward to trying this out when it opens.